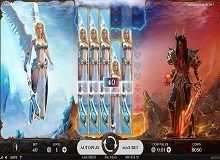 Archangels: Salvation is a famous casino slot machine game by NetEnt, which has been among the talk of having a beautiful fantasy-themed layout. The game variable paylines that assures win comes from multiple angles. Maximum and Minimum Bets: 0.4 to 200 pounds. Archangels: Salvation is a game, which is never shy of providing surprises, as like any other famous games from NetEnt today. With this said, play Archangels: Salvation for real money is an online game that promises different bonus symbols and rounds respectively. All these are related to some other in such a manner, which resolves the winning scopes on a large level. 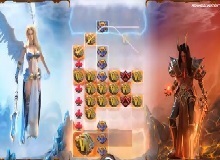 The Wild symbol of Archangels: Salvation acts in the main game, and forms a symbol block of 2×2 Wilds while giving away payouts. The appearance of the stacks of Wild and singleton Wild symbols occurs only with the features like Heaven and Hell. Besides all, Wild replaces all the other low payout symbols except the scatter symbols. The slot Archangels: Salvation gives out 2 different hotspot zones, i.e., one in the top and another at the bottom. The main purpose of this area is activating the features like Heaven and Hell. The feature kicks off only when 2×2 Wild symbols occur in the mentioned hot spot areas. During free spins, these areas may span even across 3 rows. Heaven Feature: This is one of the 2 most talked features of Archangels: Salvation casino slot online. The feature starts when 2×2 Wild symbols appear completely or partially in the zones of the top hot spot. While landing 2×2 Wild in the hot spot area, there is an appearance of 2 stacks of Wild symbols instantaneously. Additionally, when 2×2 Wild symbols land fully in the zone, 4 stacks of Wilds appear in the reel. Hell Feature: Much like the Heaven feature, this is a product of the transformation seen in the Hot Spot Areas. While during this feature, the landing of 2×2 Wilds can be completely or partially in the lowest point area. For the main part, the number generation of singleton Wild Symbols in the game is either 8 or 16, which once again depends on the 2×2 Wild symbols, landed entirely or partially. Feature Reactivation: This is a special feature of this slot talking about reactivating either a stack of Wilds or a single piece of Wilds if it has a landing once again to the hot spot area. For such an event, there is a generation in the hot spot area of a single stack of Wilds or 4 singleton Wilds for each of the Wilds. Scatters finally come to play in the game, when 3 or more of the symbols appear anywhere in the reels. The Scatters are always stacked by 2 units, which assures two slots are always occupied on the reels. 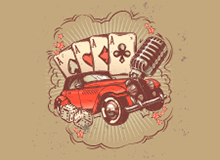 While the rounds get going, the scatter symbols from 3 to 6 awards 10, 15, 20, and 25 free spins consequently. Archangels: Salvation is a fantasy-themed game, where the main characters are based on a medieval era. The Warrior Man and Woman occupy the top of a table and have a payout of 150 coins for appearing 6 times in the reels. Archangels: Salvation game is easily one of the NetEnt’s special, which assures Wild based payouts and free spins appearing on a frequent basis. Payline wise, there is without a doubt high bonus and multiplier scoring rounds for any player to grasp with both the hands. For the beginners, Heaven and Hell Features can easily be the deal breaker round, which can easily accumulate wild-based replacement payouts. Play Archangels: Salvation slot machine online promises attractive winning schemes in the forms of Wild feature reactivation, which leads to a path towards restarting jackpot Wilds. 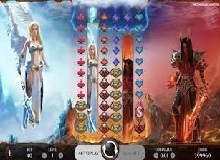 Unlike many popular day slot games, despite having too many bonus rounds, the developers assure that Archangels: Salvation does not stop a stream of scoring. Archangels: Salvation free is a brilliant online slot machine game from NetEnt, which has been in the stint of breaking a path for many gamers today. There is barely a famous online casino in the world today, which hosts NetEnt, and leaves out such a game like Archangels: Salvation slot. Players love the game for various attractive points. One of the points has to be RTP, which is at 96.08%, a golden numeric figure for any gambling fan. Other attractive points include free spins and 6-reel structure, which indirectly increases the chances of winning.